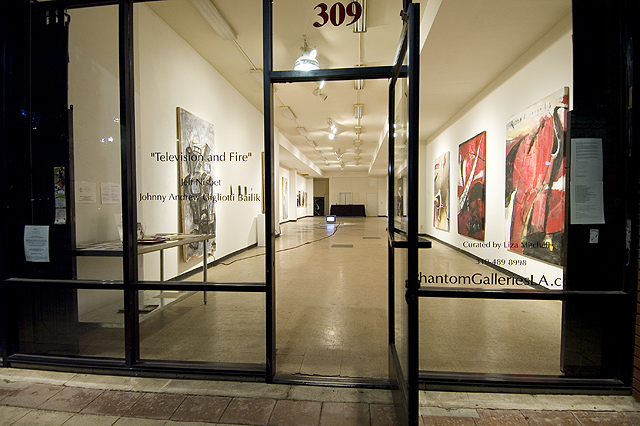 2009, Phantom Galleries LA., Long Beach, CA. 2009, T. Lambert Gallery, Cleveland, OH. 2008, Joined Medea Gallery, San Pedro, CA. 2007, Final Round Art Dubai, Dubai U.A.E. 2007, DCA Gallery, Santa Monica, CA. 2006, Group Show, The Brick House, Venice, CA. 2005, DCA Gallery, Venice, CA. 2004, Joined DCA Gallery, Venice, CA. 2003, Group Show, Cleenewerck Group Show, Venice, CA. 2003, Group Show, T. Lambert Gallery, Cleveland, OH. 2001, Private Show, Curated by Kaat Cleenewerck, Venice, CA. 2001, Solo Exhibit, Pergandy Gallery, Cleveland, OH. 2001; Solo Exhibit, T. Lambert Gallery, Cleveland, OH. 1999; Solo Exhibit, T. Lambert Gallery, Cleveland, OH. 1998; Group show of selected Abstract Painting, T. Lambert Gallery, Pittsburgh, PA.
1998; Solo Exhibit, Pergandy Gallery, Cleveland, OH. 1997; Solo Exhibit, “The Dissolution Series”, The Artists Guild, Warren, OH. 1997; “Collaborative Project”, selected group, site specific installation, Cleveland, OH. 1997; Selected pieces from “The Dissolution Series”, Cedar Gallery, Youngstown, OH. 1996; “Spectacle”, a multi-media, collaborative, outdoor performance, Cleveland, OH. 1995; “D2” Group show, Cleveland, OH. 1994; Anti-Censorship Exhibit, Bliss Gallery, Youngstown, OH. 1992; Hoyt Institute of Art, Pittsburgh, PA.
1991; Hoyt Institute of Art, Pittsburgh, PA.